The snowplow may clear the roads, but it's up to ordinary folk to clear their own driveways. 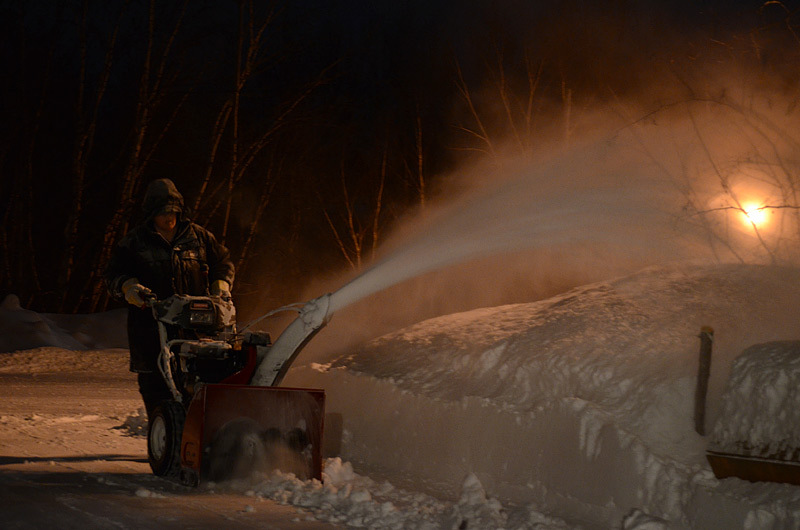 Some people like to do the work in the daylight, while some people find that blowing snow in the evening is more convenient. I love these crisp night time action shots!!!!!!!! The lighting is really neat, among other things.